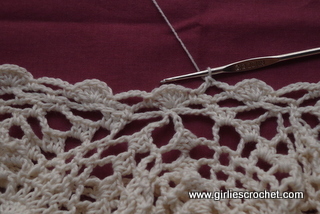 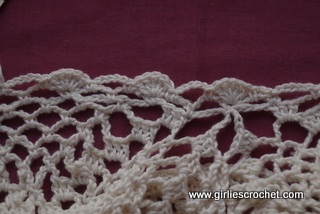 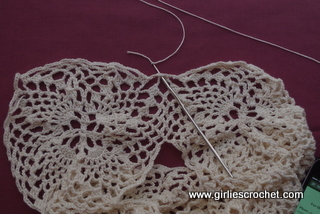 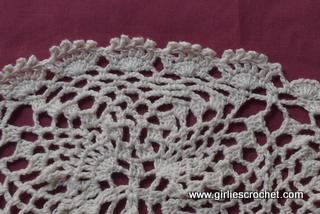 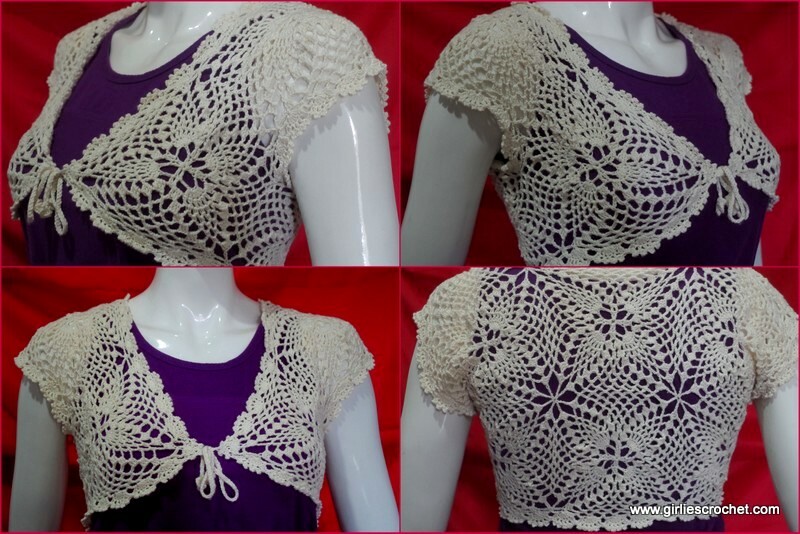 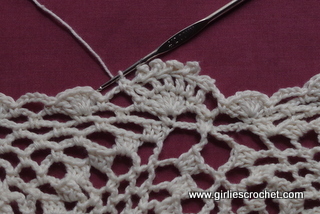 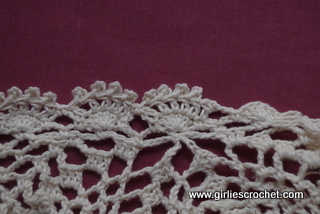 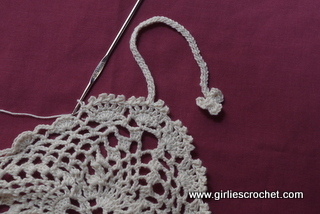 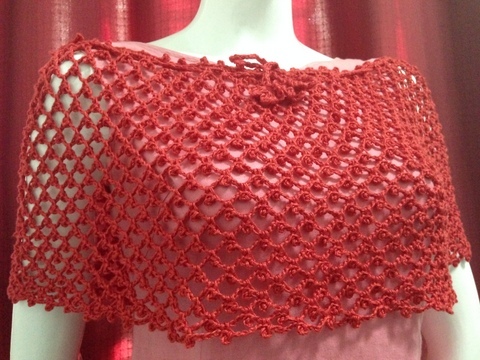 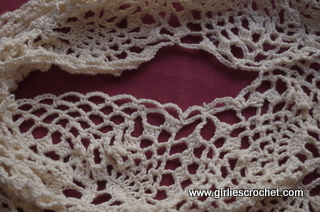 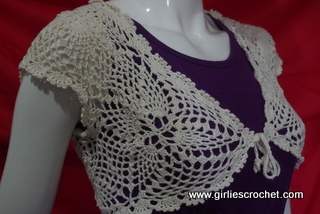 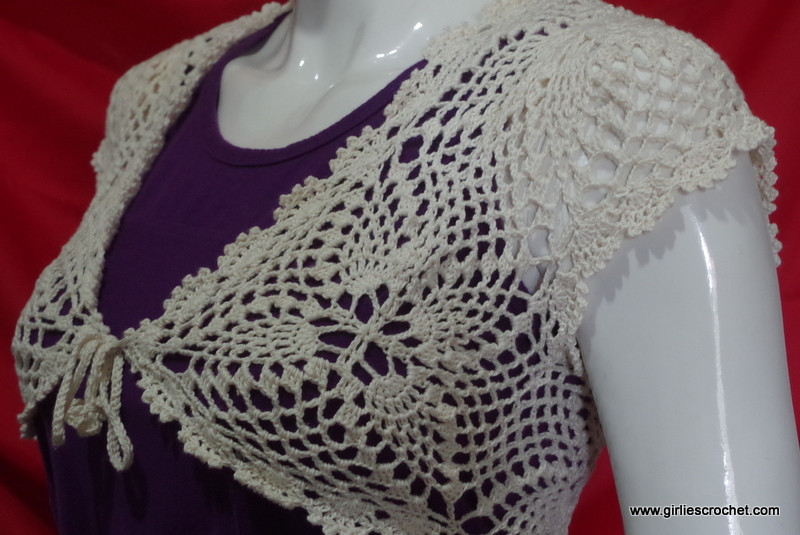 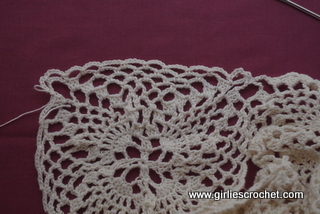 This is a free crochet pattern for an elegant bolero with photo tutorial in each step. 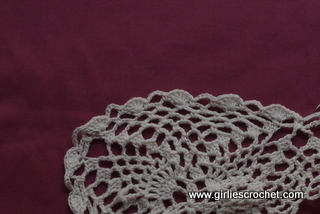 All terms used are in US terminology. 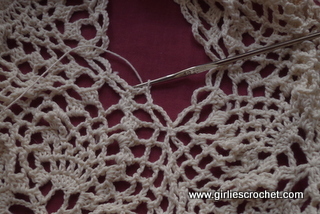 Picot: Ch3, sl st in top of last completed dc. 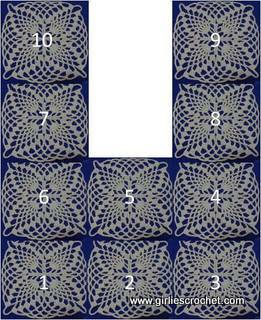 Shell St: 5dc in specified st. 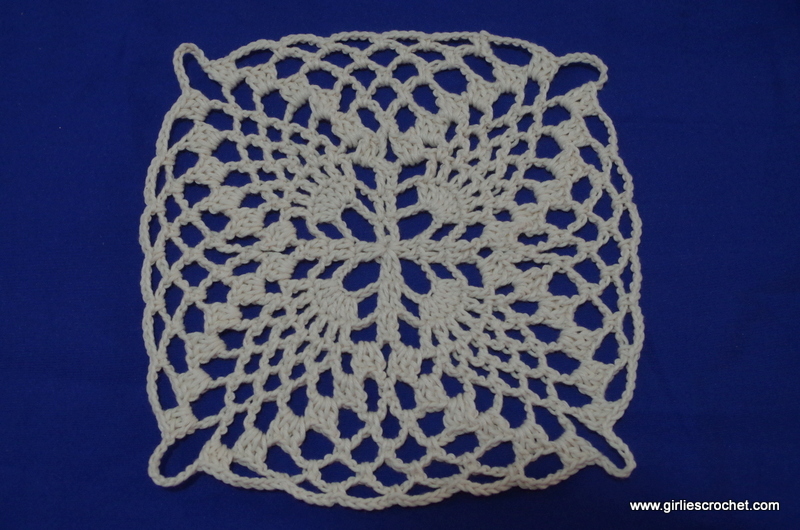 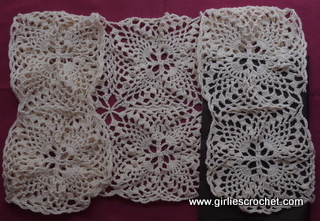 Please click here for instruction of pineapple crochet motif. 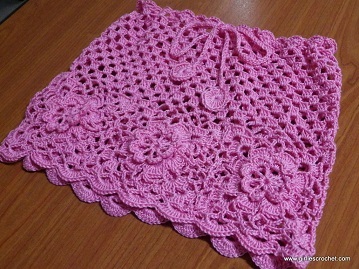 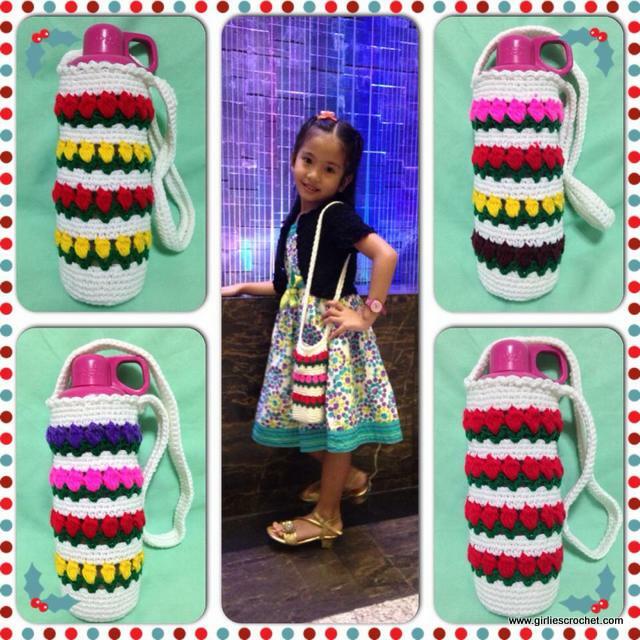 Please click here on how to join the motif. 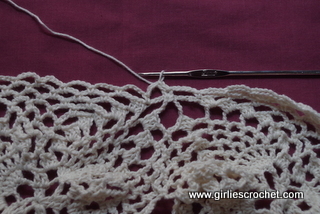 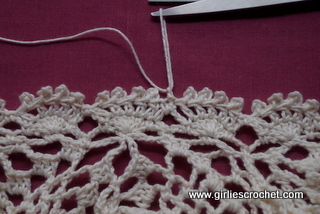 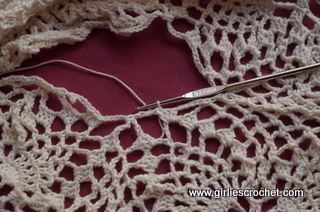 repeat **to** 23 times, repeat Crochet String Front Corner, repeat **to** 20 times. 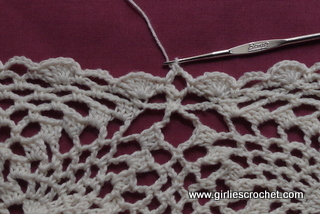 repeat *to* around, end w sl st in 1st sc.